Back in my high school days (early 2000's) I collected silver rings. They were an eclectic mixture of rings my mother made in her metalwork class during college, some given to me for birthdays/Christmas and a couple I could afford with the money I earned working retail part time. I went through a phase of wearing this wide silver band on my thumb and stacking the others together on most fingers of both hands. My dad used to tease me that I looked like a gypsy, but I loved those rings for a long time. After all these years I'm not sure where most of them went, lost and probably give back to my mom. The fond memories of those rings, worn daily for years, making funny tan lines on my hands during the summer and always having to take them off during pottery class, these memories though are still found. 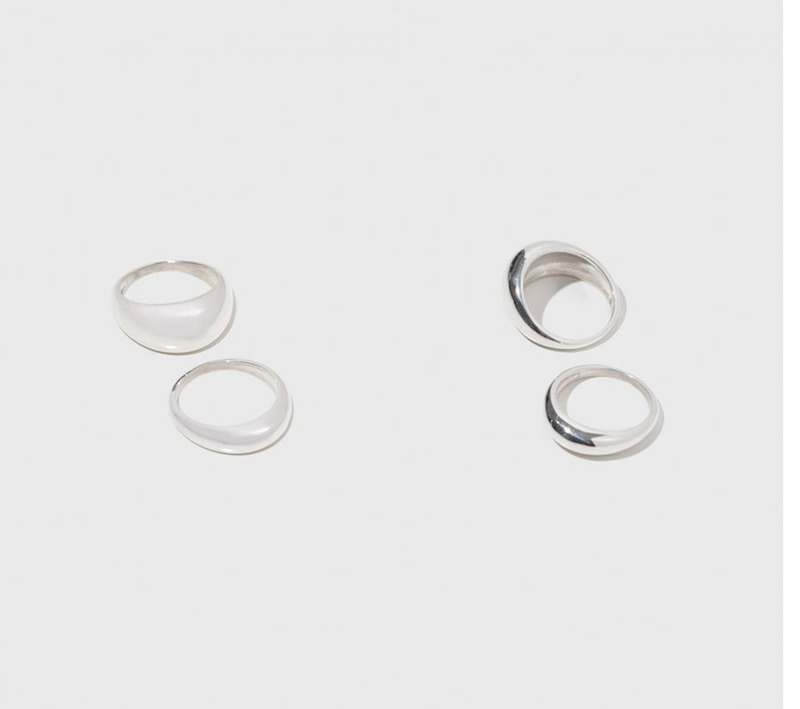 Now in my early 30's I still like rings but it's impractical for me at home, with two kids, to wearing a metal band on every finger, neither do I want to if it were practical to do. However I still like to have one, or two bands (sans jewels) to add a bit of shine and motivate me to keep my nails manicured. 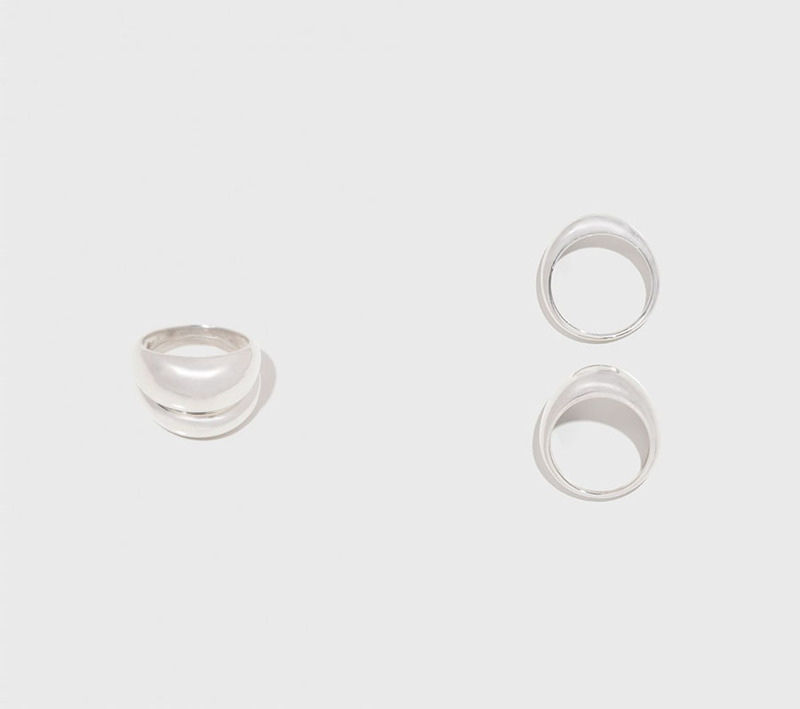 J.Hannah makes a set of two rings called Form that absolute is PERFECTION. You know I'm sincere about this because how often do I write here in all caps? Next to never. Reminds me of my high school days but much more sophisticated and fitting for me now.